...looking back at me. Orange Barrels, Orange Barrels, why can't I be free? 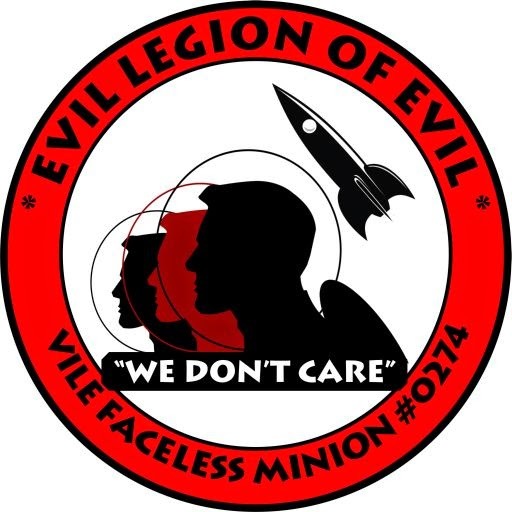 For some reason that picture makes me chuckle. How many numbskull drivers does it take to molest, oh I don't know, four out of every ten orange barrels on a road like the one depicted above??? And it's not even New Jersey! U.N. Secretary-General Kofi Annan did not initially tell investigators in the oil-for-food probe that he met twice with representatives of his son's employer as the Swiss company began soliciting United Nations business. Annan's omissions last November raised credibility concerns with the chief investigator, Robert Parton, that persisted even after Annan later provided his recollections about the meetings. Investigators had uncovered the contacts in calendars recovered from computers, according to interviews and documents reviewed by The Associated Press. When Lee Enterprises Inc. agreed to purchase Pulitzer Inc. for $1.46 billion, it also agreed that the flagship St. Louis Post-Dispatch will keep its longstanding liberal editorial slant for at least the next five years, according to the purchase agreement mailed to Pulitzer shareholders Friday. 'For a period of at least five years following the Effective Time, Parent (Lee Enterprises) will cause the St. Louis Post-Dispatch to maintain its current name and editorial page platform statement and to maintain its news and editorial headquarters in the City of St. Louis, Missouri,' the agreement states. Yep, believe it or not, I'm still alive. I'm on Ft. Buchanan, Puerto Rico, where I'll be living for the next three years. And it's frigging hot down here, people. And humid. It's like a swamp, unless it rains, in which case it's like a really REALLY wet swamp, which isn't much of an improvement. By the end of my three years here, I'll be wanting to see some snow. But it's an experience I would have kicked myself for missing if I had let it go. I'm in a computer lab, so I have to keep this short. I'll do a nice big long posting when I have internet access at my house. I disagree with Lee though regarding the efficacy of voting to change this. The Federal Bureaucracy is entrenched and unionized and it seems as though they do as they please irrespective of the demands of elected politicos. Today is the 20th anniversary of the assault by the Philadelphia Police Department and Pennsylvania State Police on the "home" of a radical group called "MOVE". A state police helicopter this evening dropped a bomb on a house occupied by an armed group after a 24-hour siege involving gun battles. A 90 -minute shootout this morning came after a week of growing tension between the city and the group, known as Move. Residents in the western Philadelphia neighborhood had complained about the group for years. The only known survivors from within the house were a woman and a child. The fire spread to 50 to 60 other houses in the neighborhood, said the Fire Commissioner, William Richmond. He declared the fire under control about 11:40 P.M.
Twenty years ago this Friday, Philadelphia became "The City That Bombed Itself." On the evening of May 13, 1985, in the Cobbs Creek section of West Philadelphia, police dropped explosives onto the headquarters of the radical group MOVE. The explosion started a fire that city officials allowed to burn. When the blaze was out, 61 homes were gone and 11 people, five of them children, were dead inside MOVE headquarters. The days that followed were a period of sadness and shame unlike any in the city's history, the start of a civic funk that lasted for nearly a decade. I could see the smoke from my neighborhood. What followed the event itself was an exercise in Old School Philly Graft, where the City paid a premium price to rebuild homes, and the rebuilt domiciles turned out to be of, shall we say, questionable quality. Some people got killed, some people got jailed, a few got fired, and a few lined their pockets. Life, as they say, "in the Big City". Great stuff regarding Matador from The Fourth Rail and, natch, Belmont Club. Note to self: change the blogroll. Whilst surfing last week, I found an interesting point about how political speech in church is portrayed differently depending on who's doing the speaking. When Republicans do it, it "theocratic. When Democrats do it, it's "outreach". That got me doing more surfing, and I found the following, and the accompanying pictures. "Let's take a look at our Constitution — it says ‘freedom of speech,'" said William Murray, president of the Washington D.C.-based Religious Freedom Coalition. "It doesn't say ‘freedom of speech unless you are in church on Sunday.' [Opponents] want to pass laws that say when we have freedom of speech and what we can say and society doesn't have a problem with that?" "Despite the push for a change, a September Pew Forum on Religion and Public Life poll found Americans sharply divided over whether they wanted their religious leaders to get directly involved in politics. Critics of the bill, who have been largely successful in foiling Jones' previous efforts, said giving tax breaks to churches who endorse or denounce specific candidates violates the doctrine of separation of church and state and is unfair to other nonprofits that are bound by the same restrictions. Complaints and investigations are more commonplace and often target churches on both sides of the ideological spectrum. In, February the IRS announced it is investigating the Friendship Missionary Baptist Church (search) in Florida, based on a complaint by Americans for the Separation of Church and State. The group said the church was in violation of IRS law when it allowed Democratic presidential candidate John Kerry and Rev. 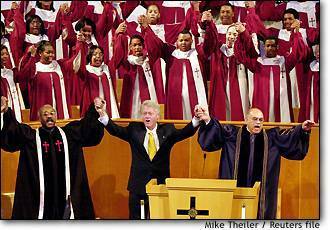 Al Sharpton to make their pitch for Kerry to the predominantly black congregants during an August service. 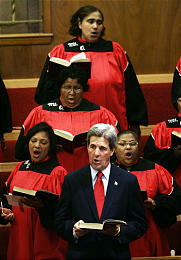 The pastor had introduced Kerry as "the next president of the United States." Odd, isn't it? I don't recall that coverage. I've never been particularly vested in the participation of churches in politics, but it does ring true to me that the kind of political speech the Left seeks to restrict most ardently is political speech wherein advocacies are steeped in religion. Or is it all a fan dance? 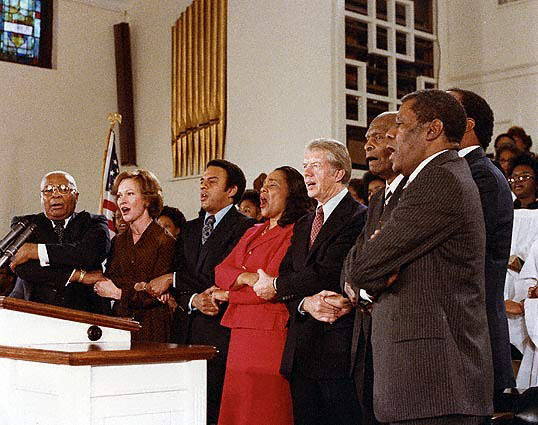 -- as the accompanying pictures (of the last four Democrat presidents, seeking support in church) might seem to indicate. It's all very strange to me, this Liberal Media thing. Citing contracts, letters and interviews with former Iraqi leaders, the probe set out evidence Wednesday to back the claim that British lawmaker George Galloway and former French Interior Minister Charles Pasqua accepted oil allocations under the scheme. If the West went to war to stop Hitler from dominating Eastern and Central Europe, and Eastern and Central Europe ended up under a tyranny even more odious, as Bush implies, did Western Civilization win the war? In 1938, Churchill wanted Britain to fight for Czechoslovakia. Chamberlain refused. In 1939, Churchill wanted Britain to fight for Poland. Chamberlain agreed. At the end of the war Churchill wanted and got, Czechoslovakia and Poland were in Stalin's empire. How, then, can men proclaim Churchill 'Man of the Century'? Intriguing, and why we'll not know if Iraq was the right move for a decade or two. (I say Buchanan "steps in it" because the camps are not mentioned). The last thing Raging Dave posted is here. He'll return, all in due time, and I've a feeling that, if he can get 'net access, he'll be putting forth some interesting stuff. In a place where you can view human buttocks without fear of repercussion? 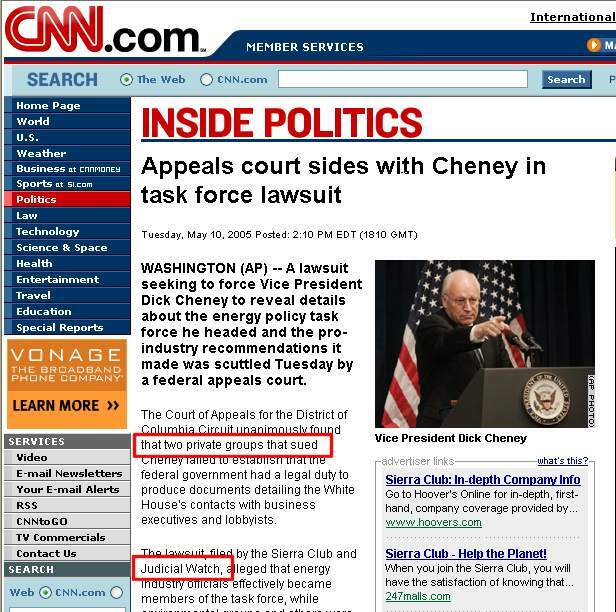 Is there bias at CNN? 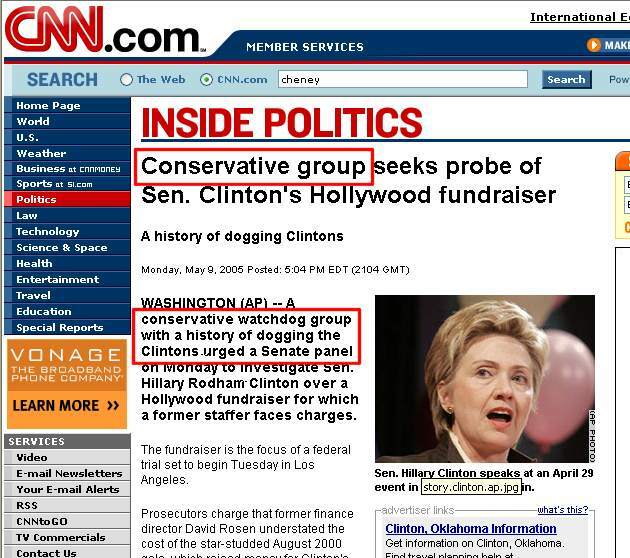 LINK: CNN.com - "conservative watchdog group with a history of dogging the Clintons"
LINK: CNN.com - "two private groups"
CNN - They Report, We Deride, but hey -- standout work by Judicial Watch -- they progressed from Clinton Doggers to a Private Group in just one day. UPDATE: Reader Fred Simmons notes that the stories are bylined "AP", not some CNN Staff Writer. True that. Reckon I'd still like to see some of that "Review Process" that CCN has and bloggers don't. I am guessing it'll be another kid. I am not usually into capital punishment, but this person when convited should die, and painfully if possible. "What liberal media?" he asks. Where there's a will, there's a way, or so they say. Mr Blair's position has been called into question by several MPs since last Thursday's General Election, when Labour won an historic third successive term in power but saw its majority cut from 161 to a projected 66. Mr Blair - who was finalising the post-election reshuffle of the ministerial ranks - will seek to shore up his position on Wednesday when, in an appearance before the Parliamentary Labour Party at Westminster, he is expected to underline his commitment to serving a full third term and call for tighter party discipline. But the chorus calling for him to step down continued to swell. The Invincible Poodle, in a manner of speaking. Reminiscent of Tim Blair reminiscing. ...has Right Thinking from the Left Coast morphed into a Love Shack for a tiny number of self-flagellating "libertarians"? ...that a link dumper like me wouldn't require much time to keep his blog fresh. You'd be right. But I don't even have that much time these days. This site is almost a tribute to the Main Battle Tank - M1, M1A1, and M1A2 Abrams. Fascinating, if you've a mind to be fascinated by such stuff. And then: some quotes from the past about the Horrible Three.